While it can be frustrating for parents to cope with sibling rivalry, there’s many reasons why it can actually be beneficial for kids to grow up with a competitive spirit – as long it’s harnessed in the right way. Triathalon champions Alistair and Jonathan Brownlee know a thing or two about sibling rivalry. From an young age every activity was a competition for the Yorkshire lads, but it’s this rivalry which the pair credit with helping them become an Olympic champion and bronze medallist. It’s common for kids to fight – after all they’re both competing for same things (usually toys, food and your attention). Hearing your children constantly fighting with one another can be frustrating and upsetting, but the most important thing is that you channel their sibling rivalry into something positive. “Our sibling rivalry started as soon as Jonathan was born! We used to compete over absolutely everything and anything. Whether it was playing badminton in the garden or running down the street as fast as you could,” Alistair Browlee says. While you should always stop physical fighting and try to quash petty squabbles and bickering, a bit of competition certainly isn’t a bad thing. “It made everything more exciting and even simple games became really fun,” Jonathan says. In some ways sibling rivalry can be a positive force that encourages children to push themselves further than they would normally do by themselves. It certainly was true for the Brownlee Brothers, and their parents packed their school holidays with activities such as hiking and mountain biking to encourage them to have fun in the great outdoors. From this they developed a love of being active, and the rivalry between them gave both the competitive spirit which set them on the path to Olympic success as adults. It’s important to remember that sibling rivalry can be beneficial and help to accelerate children's social and emotional understanding, it also teaches them key life skills about sharing and working with others. “Competing with a sibling can form the foundations of a range of essential skills, including building up confidence, learning to stand up for oneself, acknowledging differences and accepting defeat,” Caroline says. Sibling rivalry can also increase motivation and can drive children to excel in specific areas, which is exactly how the Brownlee brothers became talented sportsmen. Alistair admits: “Our sibling rivalry has been absolute crucial in terms of our sporting careers. Triathalon is a sport we both love and we were both competitive and enjoyed being active, so naturally we found our way into sport anyway. But having that competitive spirit and someone to train with definitely helped. Teresa Bliss, educational psychologist and director of the Anti-Bullying Quality Mark-UK (ABQM-UK), says: “A strong family bond means that there is always someone there for you to turn to for emotional support, throughout your life. For parents that are keen to channel their children’s sibling rivalry into something positive, both Alistair and Jonathan have come up with a whole host of great activities for kids to try during half-term in conjunction with Warburtons. Their activities include an Olympic themed assault course and traditional favourites such as den building, tug of war and pooh sticks – things that get young ones outdoors and keeps them entertained and active. ​So before you start panicking about your kids sibling rivalry, remember that on the surface you may just see bickering fights and tantrums over board games, but there's also the fierce love and unbreakable ties of family. Do you have any memories of your own sibling rivalry? Tweet us @SofeminineUK! 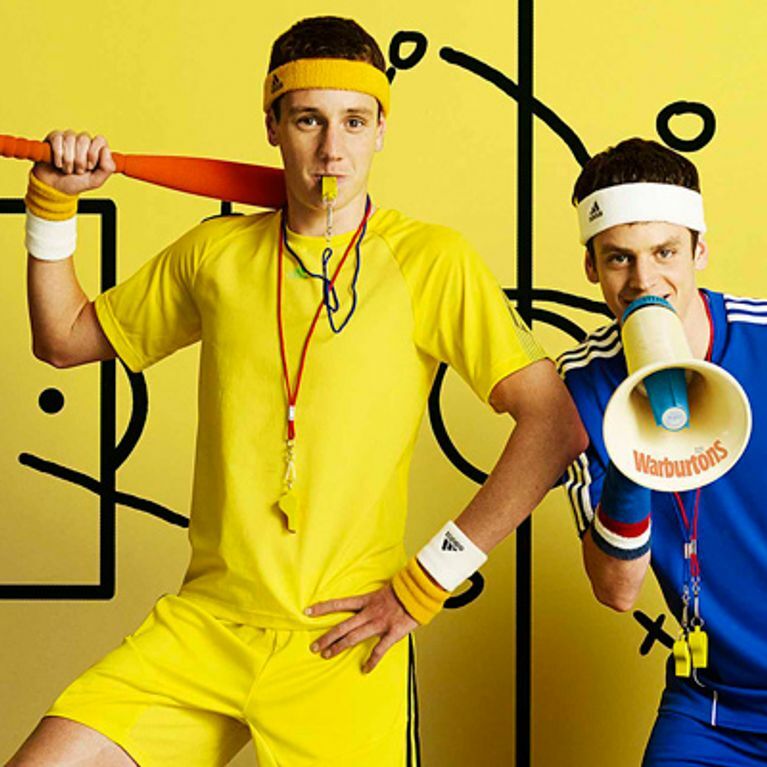 The Brownlee brothers are ambassadors for Warburtons Half & Half range – helping parents smuggle goodness into family life. Visit their Scrapbook at for half-term inspiration for fun activities your kids can try at home.